The Gresham family reached the peak of their power and wealth in the sixteenth century, and Sir John Gresham, a rich City of London merchant, acquired Titsey from the heirs of John Bourchier, 2nd Baron Berners, to whom it had been granted by Henry VIII. Gresham built a new house there near to the parish church, on the site of an older house. Gresham was Lord Mayor of London in 1547. The house and estate passed through several generations of the Gresham family, who were created Baronets by Charles II at the time of his Restoration (1660). Sir John Gresham's heir was William Gresham, whose son was Sir Thomas Gresham (died 1630). His son and heir was Sir Edward Gresham. The successive baronets were Sir Marmaduke Gresham, 1st Baronet (1627-1696), Sir Edward Gresham, 2nd Baronet (1649-1709), Sir Charles Gresham, 3rd Baronet (1660-1718), Sir Marmaduke Gresham, 4th Baronet (1700-1742), Sir Charles Gresham, 5th Baronet (died 1750), and Sir John Gresham, 6th and last Baronet (1735-1801). Through the marriage of the heiress of the last Gresham, the house passed to the Leveson Gowers, a branch of the family of the Dukes of Sutherland. A Tudor house on the site was demolished and rebuilt by the last Gresham baronet in the 18th century, then in 1826 was given new fronts. A tower was added in 1856. After the Selby heirs suffered financial setbacks, the plantation was owned briefly by the pirate William Cotter and then by assorted members of Colonel Nicholas Gassaway's family (his daughter Jane having married Cotter), including the sons of Captain John Gassaway, Lord High Sherriff of Annapolis. The Gresham family continued to own the house on rented Gassaway land then known as Cotter's Desire. Gresham is most associated with Commodore Isaac Mayo, who received it from his uncle who had purchased the property and house from the Cotter/Gassaway heirs around 1765. He occupied the property beginning in the early 19th century until his controversial death there in 1861 at the dawn of the Civil war he openly opposed. Colonel Nicholas Gassaway owned large tracts of land alongside Chesapeake Bay south of modern Annapolis, Maryland. His lands abutted those of the Selby family, Called Selby's Marsh, a part of which was rented to family attourney John Gresham II who built what became known as Gresham house. In 1690, Nicholas’ daughter Jane married the pirate William Cotter who came to own part of Selby's Marsh in 1693 including the rental parcel, but the it was not in the hands of any of Nicholas’ family at the time of his late 1691 death. 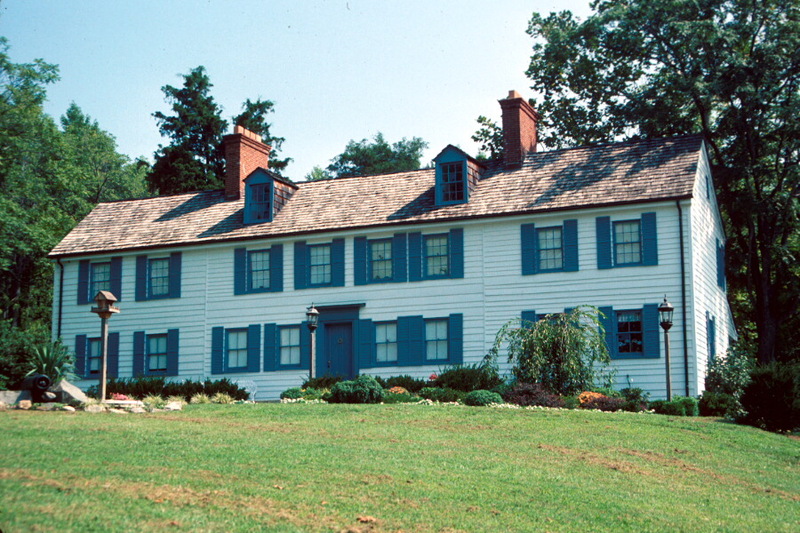 Their plantation, renamed "Cotter's Desire", passed to their nephew Captain John's three sons and was later sold along with Gresham house to the family of Commodore Isaac Mayo, for whom much of the area is today named. Colonel Nicholas left to his son Captain Nicholas the Love's Neck plantation and his residence there in 1691. Gresham house was owned by Greshams on rented land until sometime after 1723. The wife of Mayo's grandson Thomas Gaither Jr. relocated the gravestone of Captain Nicholas Gassaway (d. 1699), found at Gresham house, to St. Anne's sometime before the house passed out of the Mayo family in 1915. In the 1960s, it was discovered that a footstep at Gresham was in fact the downturned grave marker of Colonel Nicholas Gassaway and it too was relocated to St. Anne’s Church in Annapolis. How Colonel Nicholas’ and his son's gravestones came to be at Gresham house and where their remains actually lie is a mystery.